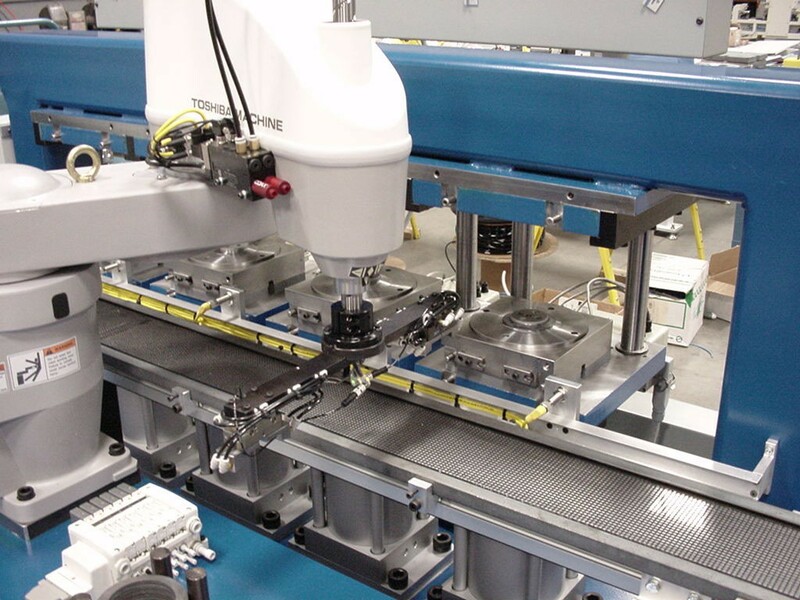 Our capabilities extend across many of the available technologies for machine auto loading. These technologies include robots with four and six axes, such as Motoman, Kuka, Kawasaki, ABB and Toshiba. We also design and build special purpose gantries for specific application where robot technologies are not effective. These applications tend to be high-volume assembly and test applications of a dedicated nature.